Is your Earth flat? For inhabitants of the BitsAreBits world, digital audio is not only a cinch to set up, it’s as cheap as chips. 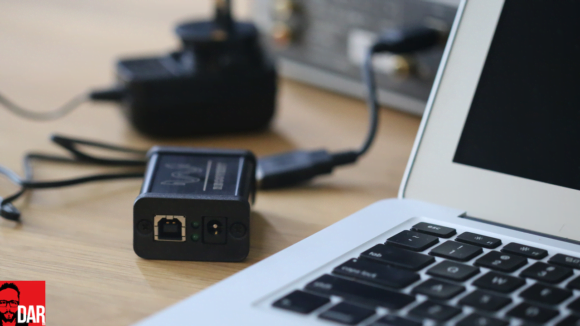 Grab any old entry-level laptop computer and connect it to a downstream DAC with any USB cable (as long as it conforms to the standard) and you’re up and running for under US$300. Fussing over make and model of laptop (or full size PC) is but a matter of ergonomics and cosmetics. Whatever the BitsAreBits-er chooses, it’ll sound the same as any fancy music server from the likes of Aurender (reviewed here) or Antipodes Audio (reviewed here and here). To our digital skeptic such high end fare is for suckers with too much money and not enough common sense. Ditto the Curious and Light Harmonic LightSpeed USB cables – fool’s errands both. With Photoshop and MS Word running in parallel to iTunes there’s zero need to fuss over the promises of lower CPU overheads and the associated superior sound quality made by the likes of Audirvana+, Amarra, JRiver, Fidelizer and Pure Music. Bits are bits and as long as they get from PC/Mac to DAC in tact. “Bits aren’t dropped when copying a file from my computer to the attached hard-drive over USB so why should it be any different in sending bits from that same computer with the same USB cable to the DAC?” reasons the skeptic. Alternatively, a Sonos Connect’s S/PDIF output can be tapped for US$349. The connection method of choice is irrelevant as long as it works sans dropouts. It’s all ones and zeroes anyway so both coaxial and optical wire will sound the same. Any old entry level cable will do – no need to spend big here at all. And no need to worry about having the Sonos Connect modded (see here) or opting for a more left-field choice in the AURALiC Aries Mini (covered here). Apple fans might stretch to a Mac Mini, the cheapest point of entry into the world of OS X. Again the music playback device doubles as office workhorse; a proper two-fer. Hook in a USB cable – any standards compliant one will do – to carry ones and zeroes from Mac to DAC. What about jitter? Claimed “Jitter Free” by the manufacturer, our BitsAreBits-er’s DAC will sort it all out. No need for one of those USB-S/PDIF converters like the Audiophilleo (see here) or the Resonessence Labs Concero (here) that were so popular a coupla years back. In 2015, the focus of digital audio optimisation shifted. 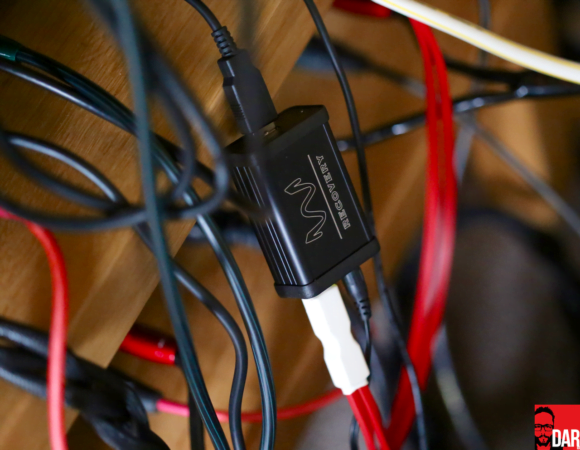 We saw a slight shift away from the audio-stream-nursing of the aforementioned USB-S/PDIF converters and S/PDIF re-clockers like the Empirical Audio SynchroMesh (see here) and the Wyred4Sound Remedy (go here) and toward a new (old) approach; cleaning up the USB signal itself. No S/PDIF diversion required. Of course, to our BitsAreBits-er, the passive filtering of the AudioQuest JitterBug (covered here) is utter poppycock. So too is the USB datastream regeneration of the Schiit Wyrd (covered here) and the season’s hottest ticket, the UpTone Audio Regen (covered here). AudioQuest, UpTone and Schiit’s collective argument goes something like this: the electrical noise spilling from the source PC/Mac travels along the USB cable and into the DAC where it disturbs the sensitive oscillators, knocking clocking out of whack and bringing forth the jitter. The JitterBug filters out much of this noise whilst the Wyrd and Regen go a one-two better by reconstructing the USB signal, ensuring data flows to the DAC in a steady stream (and not bursts), and by supplying a cleaner (less noisy) 5V feed to the DAC’s USB receiver chip. According to its manufacturer, the Regen also tackles the issue of impedance matching. The way UpTone’s Alex Crespi tells it, a DAC’s USB receiver chip has more than one operational mode. Additional layers of pre-processing kick into life when the incoming USB data stream becomes harder to read. And the harder the DAC’s USB receiver has to work, the more electrical noise it generates, again disrupting the accuracy of downstream digital audio clocks. The BitsAreBits-er knows in him/herself that deluxe USB wire, low-noise servers, audiophile streamers and USB regenerators cannot possibly make a jot of difference because digital audio transmission is simply a matter of ones and zeroes (and nothing more). Manufacturers of goods that promise SQ enhancements via the digital domain are only out to exploit people, to rob them of their money. “They would say X makes a difference – it’s in their financial interest to do so,” falls the skeptic’s reasoning. But could it be that this train of thought is also financially motivated? Vehemently adhering to – and espousing – the subjective truth that it’s all ones and zeroes is a matter of money also. Suggesting that a $300 laptop sounds the same as $3000 server or that a $500 USB cable has nothing over a $10 variant not only makes the digital audio world simpler to grasp but cheaper too. Who wouldn’t want to potentially save thousands of dollars when all that’s required is a firming up of one’s borders, open mind be damned? Simply follow-up any demo-er attempting to show otherwise with accusations of being drunk on self-delusion and it’s cased closed and good night. Time for a lie down and some sobering up? By the time we come to we’ll be in dire need of the plop plop fizz fizz of an Alka-Seltzer. IOW, time for Recovery and for the BitsAreBits crew, case made, to exit stage left. As easy as USB. Wyred4Sound’s USB reclocker, the Recovery (US$249), sits between source device and DAC. Hook up is as easy as anything else that joins the part over USB. One LED confirms signal lock, the other USB Audio Class (off for 1.0, on for 2.0). The Recovery seeks to improve the sound of a USB connection in two ways: 1) buffering the incoming USB stream before Femto-clocking the corresponding data output; 2) cauterising the host PC’s 5V supply before slipstreaming its own, lower noise power. This pegs the Recovery as an active device; it draws power from the mains via a ‘low noise’ 9V/1.3A switch mode power supply that’s similar in size to the Recovery itself, which in turn is larger than the diminutive Regen but not quite the Schiit Wyrd beefcake. The corresponding (intended) result is two-fer too: 1) less-stressed USB reception – the PHY need not fall back on pre-processing in ensuring an error-free read and 2) lower incidence of electrical noise infection from the source computer. On hook-up practicality, the Schiit is the only one of the three devices that can’t be hung unsupported from the back of the DAC via umbilical USB cord. 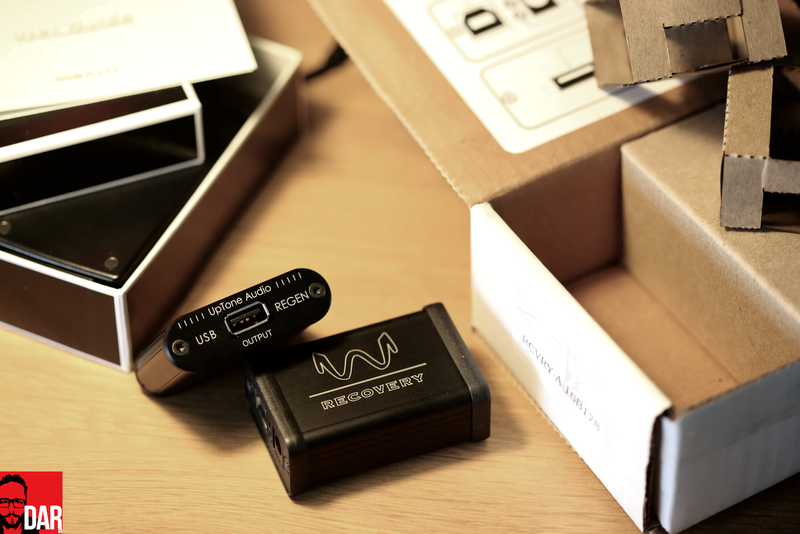 The Recovery, larger than its UpTone rival, is less likely to induce an “Is that it?” moment when popping the package lid and it too remains too heavy to be connected unsupported to the DAC’s USB port via solid adaptor (as per the Regen). For those unable to prop up the Recovery behind the DAC, an umbilical is the only way. Wyred4Sound slip a 6 incher into the box but users might prefer to BYO. For me, nothing beats the inner-spaciousness of the short-stop from Queensland’s Curious Cables (see here). If the Recovery’s promises of cleaner USB power and improved USB ‘signal integrity’ sound operationally similar to Schiit’s Wyrd and UpTone’s Regen, separating each of the three Californians on look-see alone falls to circuit design and parts selection. Can we reliably judge a car’s handling and performance from simply popping the hood? For those who fancy their chances the Schiit and UpTone get undressed here and here. 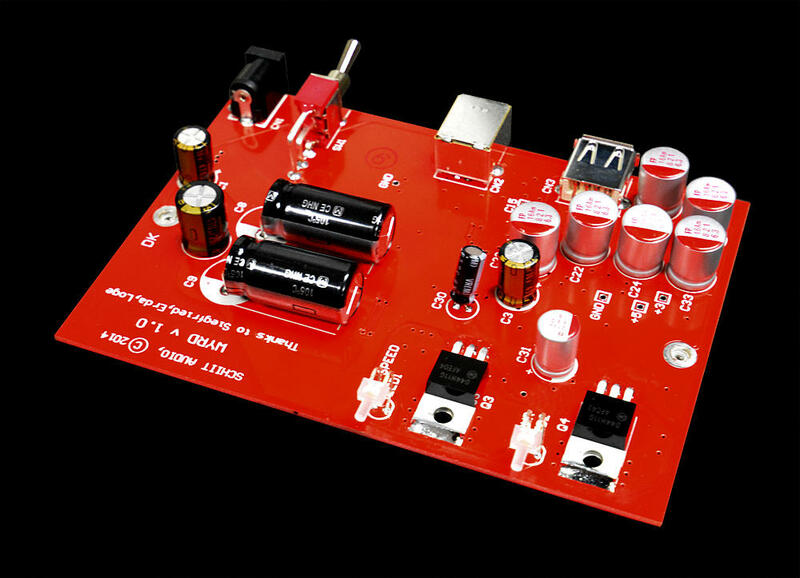 What you’ll hear from applying the Recovery to your digital audio front end will largely depend on the quality of DAC. And source. I noted the single most palpable uptick in music’s avidity and enthusiasm with Recovery interceding between MacMini and Schiit Bifrost multibit. Removing the Recovery after a long listening session brought dialled down micro-dynamic inflection on Built To Spill’s Untethered Moon and The Notwist’s Neon Golden sounded. In the Recovery’s absence, music came on a little flatter: micro-dynamics tamed, textures smoothed, timbres a little greyed out. Sometimes you don’t know what you’ve got till it’s gone. Amplifier and loudspeakers in use here were as follows: Vinnie Rossi LIO supplements on occasion by Red Dragon S500 monoblocks and, connected via AudioQuest Rocket 88, the rather marvellous Spatial M4 open-baffles. Swapping the Schiit out for the PS Audio DSJ seemed to give the Wyred4Sound brick less room to manoeuvre in opening up the soundstage but bass on The Orb’s “Towers of Dub” (from U.F. Orb) presented as more prominent and propulsive. Engineering-minded readers can debate the effectiveness of Ted Smith’s FPGA in shielding the DSJ to upstream changes more so than a DAC with a more traditional USB receiver chip. In this Schiit’s case we note a C-Media CM6631A. Changing up sources from Mac Mini to MacBook Air did nothing to contradict these initial findings but bringing the AURALiC Aries into the picture did. With Aries talking to Bifrost, the difference between Recovery and none became indistinguishable. That same inconclusive blurring presented with the PS Audio DSJ fed by the AURALiC streamer. Entirely consistent with the UpTone Regen’s behaviour. The implication here soon steps out of the shadows: introducing the Wyred4Sound Recovery to a consumer-grade computer brings a more noticeable improvement than to a server or streamer designed with audiophile sensitivities (i.e. lower noise) in mind. Of more significant note, the Recovery brings the MacBook Air up to a level that with Audirvana+ running makes it too tough to drive a wedge between it and the AURALiC Aries. Separating the performance of the Recovery and the Regen proved a near impossible task. Perhaps the LIO/S500/M4 combo wasn’t up to the task? Moving listening to behind headphones – HiFiMAN HE-1000 driven by the LIO’s single-ended output – didn’t clarify things any. At least, not enough to conclude definitively. Perhaps it would be instructive to see the Recovery as, at the very least, the equal of the UpTone’s smaller, hard-connected hanger-on-erer. It’s a conclusion that would later be challenged by the Wyred4Sound device. Entirely feasible that those bringing their own umbilical USB cables to the party will see the Recovery’s performance head north. That’s certainly true of the Curious’ Regen Link. Sauce for goose is sauce for the gander. With that same yellow wire playing lasso between re-clocker and DAC, the Regen and Recovery were too close to separate on audible performance. A last minute thought bubble gave rise to one scenario in which the Recovery does outperform the UpTone: when propping the Recovery up behind the Schiit DAC to allow for direct-dongle connection, umbilical-be-gone. Here the sound of Beck’s Sea Change displayed more obvious transient crispness and cleaner bass definition. How any given user will respond to such tiny dance moves will largely be system and taste dependent. In my listening tests, the Recovery took the Regen by a nose but I had to work for it. Elsewhere, price is where prospective buyers might fall on the Regen/Recovery divide. The Wyred4Sound unit’s US$199 introductory special is soon to be no more. That means a US$249 sticker – a full US$75 more than the Regen. Or perhaps it’s a matter of aesthetics and substance. The Recovery looks and feels more substantial than its rival. Transcending this A/B is something more fundamental: that improved USB ‘signal integrity’ and 5V power supply can dial down the electrical storm caused by some host computers and therefore make lighter work for the connected DAC’s USB receiver chip. That’s something worth making a noise about. For those who long since abandoned the bits-are-bits mentality, digital audio isn’t the simpleton that it might appear on the surface. It’s a complicated and highly nuanced affair where everything in the chain matters. Being wise to products like the Recovery don’t necessarily put one further out of pocket. It becomes a matter of allocating financial resources more carefully instead. Preferential to a $600 computer going USB direct to DAC would be a $300 computer paired with a Wyred4Sound Recovery as USB translator. 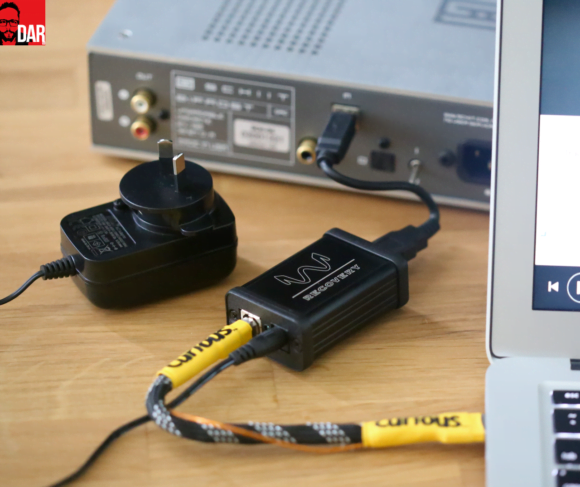 And if you’re feeding your DAC from a non-audiophile-centric device like a Mac Mini or a Microsoft Surface Pro, the Wyred4Sound Recovery seems to matter more than one’s chosen USB cable or playback software – a most effective antidote to digititus and therefore a 100% essential piece of the puzzle. For yours truly, when listening for pleasure, the Recovery must be part of the digital audio chain of command. Now that’s interesting. Should I buy the Remedy or the Recovery? I have a MAC/Audirvana and a NAD M51. No idea! I know not your preference for USB over S/PDIF or vice versa. Alas, most of my music listening these days is via either one of two seats of headphones (in and over ear) via Spotify on a HTC One M8 or via Spotify by way of a Sonos Soundbar. I’d like to have a high-end rig one day, even if only for the fact I’d like to crank it loud from time to time and find a lot of audio gear pleasing on the eye as it has a nice mix of modern and old school looks about a lot of it. Plus it would sound better than my Sonos or headphone set-up I have currently. Having said that, I rarely sit and just listen to music. I rarely close all doors and windows (being in Inner Western Sydney there’s a lot of environmental noise such as trains and planes) and even if I did there’s still significant bleeding of outside noise getting in. When I listen to music at home it’s mostly whilst I’m doing other things, so any noticeable improvement in audio quality would be quickly lost in the background noise of passing trains and planes and me not being fully focused on ‘actively’ listening. I find music enjoyable, not a task that requires solitude and a dedicate chair most of the time. Having said all that, I will get a better rig at some point despite that fact the audible improvement will likely be lost in my listening scenarios. As for the BitsAreBits-ers, I imagine it would be very easy to shut them all up with the good old blind test. If the improvement in audio quality really is that noticeable and significant I really don’t understand the audio press’ reluctance to conduct such tests except for fear of being caught short. Seems pretty straight forward really: USB cable X sounds much better than generic USB cable Y. BitsAreBits-er scream “snake-oil” and mention ones and zeros and the like. Reviewer conducts double blind testing in a controlled environment and picks the much better sounding USB cable X ten out of ten times. BitsAreBits-er have no choice but to reconsider or turn their attention to other reviewers with less conviction in their findings who are unwilling to conduct such testing. Cut, dry, case closed. I’ll admit, I’m a sceptic. Even if I was a believer it wouldn’t make any difference being how I listen to music anyway. But again, if these differences are so noticeable, I don’t understand the continued reluctance to prove it in any meaningful manner. As a result, the conclusion that is often reached is one of duplicity. Very convenient, John. C’mon admit it. Blind Testing is bad for business and most well designed kit has no sound at all. What are you thoughts about a simple setup like a macbook/macmini with a Recovery in comparison with a dedicated sever like AURALiC Aries without a Wyred4Sound recovery. Will the macbook with recovery sound as good as an AURALiC Aries ? Yes, I believe it’d be too close to call between MacBook + Recovery and Aries flying solo. Do you think Recovery (esp. Femto clock) could have positive effect on Wadia 151? Wadia upsamples and reclocks internally the incoming signal, and it has been reported that some other reclockers (e.g. Mutec) did not effect positively Wadia DACs, which I interpreted that Wadia does not care about incoming clock as much as most other DACs do. Know that *USB* data reclocking done by the Recovery is different to the *audio* data reclocking done by the Wadia. It’s all about how much noise gets from host PC to DAC and how ‘bursty’ the USB audio reaching the Wadia’s USB receiver chip. esp side by side or with as part of a conditioner slam down. Sorry, this is ‘off topic’ but I can’t seem to get any joy from the site search engine; am I not doing something right…? You’re clicking the magnifying glass and entering a search term? Works for me. Currently have a jitterbug in between my imac and Oppo HA1 handling the dac duties. Would the likes of a Regen or Recovery make the Jbug redundant or can they work together? Yes, they can work together in theory. Theory also tells us that the Recovery will also nix any power coming down the pike so who knows what advantage in reality would be maintained from running two. Thanks a lot, for sharing all your experience with these ‘niche’ audio products. I enjoy reading your website. out of all USB-S/PDIF converters and S/PDIF re-clockers you jave tested what was biggest improvement with chordhugo? 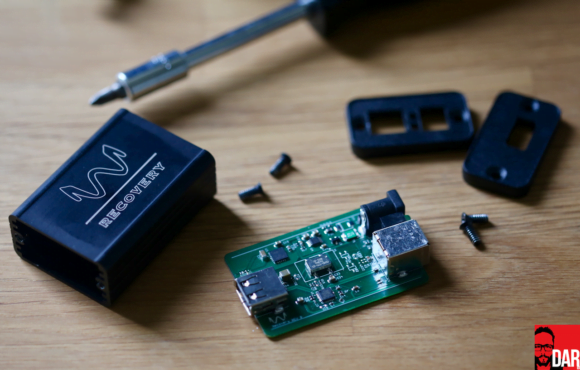 The people who design dacs, face real world engineering issues which require real solution? Analog Designs experiments showed that you will get no jitter or misreads up to 1 Volt spikes in the usb line with galvanic receiver ship isolation… thats a lot!, happy to give you the paper…..
“So for readers with asynchronous dacs and galvanic isolation these products are probably a waste of money:)” <--- Not quite. Noise can still be generated by the receiver chip *inside* the DAC as it tries harder to read a less than optimal USB signal. BTW - if you wish to share a paper then please link to it from a comment so all readers can view it. 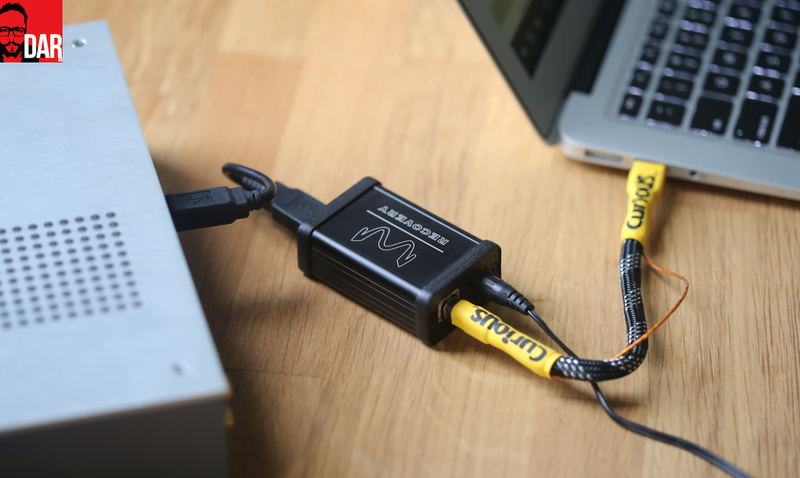 A poor USB signal – one that’s jittery – can cause noise inside the DAC. That is, jitter and noise are interrelated. This is the why I understand as it explained to me by an engineer. You need proof? Go ask an audio engineer. I am absolutely convinced that all the noise and jitter affect sound. I’ve been reading DAR, Audiostream and the like for some time and all your arguments seem to make sense. But I think you have to do a better job at communicating why bits are not necessarily bits. If one can transfer a large, complex, Excel file without error, then what’s up with music? Yes you have to “play” the file so you induce timing errors, but still. For most people, high end is below 1500$. I play Spotify at 320 kbps through my Audioengine A5+ using a Chromecast Audio and barely hear a difference with a CD. Would a tiny (and pricey) gizmo improve my entry level music playback life? One reason might be because error-checking exists for file transfers (that don’t rely on real time accuracy) but does not present for USB audio transmission which is time sensitive. At least, that’s the way I understand it. BTW – who are ‘most people’? My close circle for example. Many music enthusiasts (very different from “sound” enthusiasts) which get crazy hearing Pearl Jam is finally coming to town or guys who can’t wait for the next Nick Cave or Opeth album. 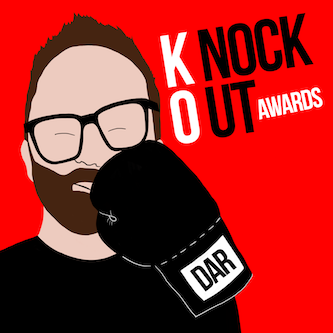 We discuss music, listen to music, go to shows. In the group, I’m the closest to what one could call an audiophile, if only because I’ve owned a Sugden amp in the past. One of my friend just bought a 35$ dac over Amazon and he is going bonkers over the sound quality. One is a jazz pianist running ultra-old Focal speakers to the ground. Not one of them would spend more than 1500$ on audio equipment. I think this makes your entry-level wokshop with S. Guttenberg & friends at RMAF all the more interesting. I firmly believe it can potentially reach a lot of people. Samo, first and very basic difference between streaming “music” over USB and copying data is that the to-be-constructed audio signal is time-dependent. If you copy your file, time does not matter for the integrity of the file (unless time-out is set), although the copy-speed might matter to you. With real-time systems, of systems where time dimension is important for the final result, it is different. If the CD-drive cant read or does faulty reads on Cd you might hear some funny noises. If your HD cant copy a damaged data-file, you will not hear anything. It is because of the time dimension also why real-time systems require different approach, then plain data-copying transmission without the time-dimension. I saw that even graduated computer science people who are not aware of real-time algorithms do not see the difference. So for further understanding I recommend getting into it, e.g. checking a few coding alghorithm that include clocks. btw i wouldn’t spend more than 1.5k$ on audio. I used to spend x10. Now counting backwards, as Throwing Muses would sing. You can get great sound for relatively smal money. But you need some of experience in order to focus on the right things. I tried the Audioquest product and heard a very minimal change….slightly more clarity. I returned it to Amazon. I then put in an USB Disruptor with the companion USB cable….pretty large difference occurred. 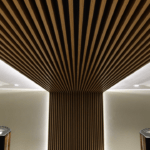 Noise floor lowered and I heard much more music and spatial cues….short money for a free trial. I kept mine. I currently have the Schiit Wyrd feeding the Chord Mojo from my Mac Mini. It works fine. I wonder if the implementation of the Femto Clock in the Wyrd4Sound Recovery bests the capabilities of the Wyrd? Do you find that the you prefer the Recovery over the Wyrd? I thank you for your valuable time and attention with this inquiry sir. Hey Angel. Not sure if it’s down the the Femto clock or not but I feel the Recovery rewards with a little more jump factor than the Wyrd. First, thanks for your reviews and effort to report what you hear in your test. Second, I have a John Kenny JKSPDIF MK2, would this be a noticeable upgrade in your opinion? Upgrade over what, Dan? Perhaps you’d be best emailing me as I want to keep this thread on track and about the W4S device. Very insightful reviews John. Good stuff. I’ve read a few other forums and reviews describing big improvements with linear power supplies to uptone audio’s regen. Do you think that would have the same benefit for the wyred 4 sound recovery? Any LPSU that would go well with them? I’m really tempted to get a regen or recovery. Just can’t decide between the two. I’ve got a raspberry pi 2 (sometimes running volumio sometimes receiving roon via picoreplayer) connected to a Hugo DAC. Then primaluna prologue premium to kef ls50. Any tips? Whichever I choose I think I’ll go with curious cables either side of the reclocker. Hey Pete – I’ve yet to try an LPS with the Recovery but I believe EJ has one in the works. I emailed W4S and they confirmed the same but couldn’t promise a time or exact price at the moment. Think I’m leaning towards the w4s recovery over the regen based on yours and a quite a few other comparisons giving it the slight edge. Could be confirmation bias but it seems it’s splitting hairs anyway. Already committed to 2 curious cables either side. 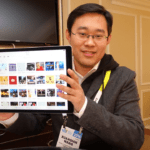 Hi John: Have you asked Xuanqian from Auralic on his thoughts on using the W4 sound recovery with a MacBook Pro to Auralic Vega? Or it wouldn’t be advised since the Vega has a femto clock in exact mode? I currently use the Curious USB without the 5V. And if it would be advised then another Curious usb 200mm Cable without the 5V ? The clocking inside the DAC and the clocking applied to USB are different things. I’ve not tried the Recovery with the Vega but I’d wager it would make a difference to its USB performance, but no, I’ve not spoken to Xuanqian about it. Thank you John I accept your wager it will make a difference! I just ordered yesterday both the Wired 4 Sound Recovery unit and the Curious cable 200m Recovery link without the 5V from Rob to use with the Auralic Vega. I currently own the Curious USB solely based upom your review which was spot on. It was great to also see so many other media reviews confirming yoir findings afterwards. Will keep you posted in the coming weeks upon arrival.. I put a curious cable between my W4S DAC2DSDSe and W4S MS1 Music Server with SSD and I2S. It put the I2S connection to shame but it was lacking. I added 2 jitterbugs one on the USB one in an open USB on the MS1-better but not right. I was waiting for a regen when W4S sent a promo for the Recovery so i ordered one instead of waiting for the regen. Definate improvement much more relaxed. Better timing and pace. I thought i was happy and i don’t know why I did it but I ordered an Uptone Audio JS-2 LPS for the Recovery and MS1. On just the recovery it really opened the soundstage and the music ebbs and flows out of silence. I could never go back. With the JS-2on the Recovery and MS1 OMG i am in heaven. On advice from Uptone I took the jitterbug off the USB and use a cheap solid USB adaptor between the Recovery and DAC and both were improvements. The detail speed and clarity of the lower end is awsome-real ear candy! This was several months ago and i am so content i have forgotten about ordering the short curious cable which I believe will be an improvement. I just wonder why it was so complicated with so many moving parts to make it right. Curious. Should you have the higher end USB cable going from the re-clocker to the DAC since that’s the cleaned up data? You can have a less-than high-end cable going in to the re-clocker since the data gets re-clocked and cleaned up. Makes sense. I just received the Curious Regen Link and replaced the adaptor between the Recovery and Wow!!! I didn’t think I was missing much with how much better the USB was after changing to thr first Curious Cable and adding the Recovery and JS-2 LPS. Maybe its the second Curious Cable or maybe I had the first Curious Cable on the wrong end of the Recovery but the improvements are huge. Most noticable is the richer smoother fuller cleaner bass. There is more punch and kick. Its like the adaptor added congestion and the cable reveals a wider deeper sound stage. Its like when you pop your ears in an airplane you hear everything better in a snap. Hey John, perhaps a silly question, but I am trying to work out what cable connections you would be using if you wanted to put a W4S Recovery in between a W4SDAC and a SONOS Connect unit? There is no USB connector on the rear panel of a Connect (only Ethernet from what I can tell), so what do you make the link too? As I understand from your review, this kind of mod will have a considerable improvement on the SONOS sound quality without going with the W4S mod. The Recovery is USB only so not Sonos Connect compatible (as it doesn’t have a USB output). For the Connect you’ll need W4S’s Remedy S/PIF reclocker.